Greg Maurer is the Director of Technical Services and Quality Assurance and has been with Zekelman Industries for 15 years. 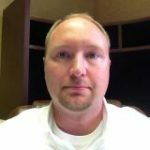 Currently, Greg oversees customer support on technical questions, issues and field related issues as well as supports the commercial team on product development and enhancement. He also assures Zekelman Industries products are produced to the proper requirements and that the appropriate quality systems are in place.